Nissan is known for the bold style of their vehicles, especially in the current model lineup. The 2019 Nissan Murano is no exception. It features styling that is both modern and sporty, with angular flairs and creases that give the Nissan Murano a striking presence unlike any other SUV in its class. Not only is the 2019 Murano stylish, but it is also quite well-equipped. The most noticeable exterior feature on the Nissan Murano may be the standard tinted glass, which preserves a certain level of privacy and discretion while also limiting the amount of UV radiation that enters the vehicle. The 2019 Murano also has a standard rear defrost feature, which can really come in handy on those chilly Oklahoma City mornings. The 2019 Nissan Murano even includes a standard panoramic moonroof. It lets an abundance of fresh air and sunlight into the vehicle, making the driving experience just a little bit more special. If you’re looking for a stylish family SUV at a car dealership near Oklahoma City, look no further than the 2019 Nissan Murano at the Bob Moore Nissan dealership. Schedule your test drive through our website today. Get more info on the safety features of the 2019 Nissan Murano. Swing by the Bob Moore car dealership near Oklahoma City today for your test drive. The 2019 Nissan Murano offers the sort of exciting driving dynamics that may surprise prospective family SUV buyers just as much as its attractive interior. While some competitors equip their vehicles with lethargic 4-cylinder engines, Nissan includes a standard powerful V6 in the new Nissan Murano. 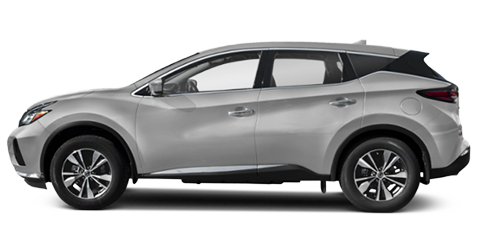 The Nissan Murano also offers 2 separate drivetrains to suit the preferences of various drivers. The standard engine in the 2019 Nissan Murano is a 3.5L V6 kicking out a sporty 260 horsepower. The standard transmission is Nissan’s well-known CVT, which provides a smooth power delivery and excellent fuel economy. The 2019 Murano has a standard front-wheel drive system and an optional all-wheel drive system for maximum traction. Take the new Nissan Murano out for a spin at the Bob Moore Nissan dealership today. 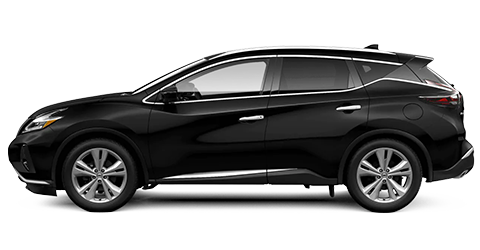 The 2019 Nissan Murano has a comfortable and practical interior that is perfect for a small family. It’s well-equipped and even offers a dash of luxury to make hauling the kids around just a little bit special. The new Nissan Murano’s interior even has an attractive design, which drivers used to riding in a competing family SUV may be surprised by. Even better, the cabin of the 2019 Murano is just as well-equipped as the exterior. Perhaps the most important feature in the 2019 Nissan Murano’s interior is the dual-zone climate control. This system maintains 2 separate temperature zones in the vehicle, so passengers whose internal thermostat runs a little hot or cold can be accommodated with ease. The Nissan Murano also includes a standard pass-through rear seat, so the cargo area can effectively be extended into the cabin of the vehicle if necessary. The Nissan Murano even offers optional leather upholstery that is soft to the touch and helps to create a premium ambiance inside the vehicle. Experience the comfort and pleasing ambiance of the new Nissan Murano. Stop by the Bob Moore Nissan dealer in Oklahoma City today for a test drive. The technology in the 2019 Nissan Murano may be even more impressive than the style or performance. The new Nissan Murano has an enticing array of standard technology that outmatches the optional tech features in many competitors. The standard Apple CarPlay™ Android Auto™ connectivity programs make it simple to link smartphones and run many different applications. The 2019 Murano also includes standard SiriusXM™ satellite radio for a 24/7 stream of diverse content. The standard HD Radio® technology allows occupants to listen to their favorite radio stations in high definition. Check out the technology in the 2019 Nissan Murano when you visit the Bob Moore Nissan dealer in Oklahoma City today. Test-drive the new Nissan Murano and discover the perfect family SUV.